A few years ago I was asked to help a family sell their home – bright, educated, professional people with a couple of kids. Sounds great, right? But their home was a refuge for "strays" both human and four legged. The place was a disastrous, dirty, cluttered, smelly, mess. Now this was a real challenge. 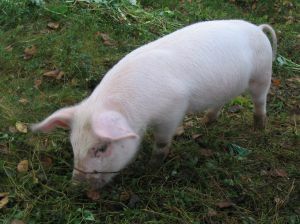 How do I sell this "pigsty"? First, I told them to paint the dining room. It was packed floor to ceiling and the table was piled three feet high. I figured they would have to empty the room in order to paint it. Wrong! They moved everything one foot from the wall, painted, and moved it all back. We just could not make a dent in the mess, and showing agents were really complaining. At the same time I was working with a young musician and his fiancé, a referral from my daughter, Erica. They wanted a large, new home. After a lot of searching we found a house that had three bedrooms, an unfinished lower level, and was in their price range. It was new, it didn't have all they wanted, but anything larger was just too expensive. With their wedding less than a month away, I suggested they look at the pigsty. This house was very comfortably in their price range. It was a five-bedroom house, with a finished lower level, and much larger square footage. But how would I ever get someone who was set on NEW to even consider this place? I warned and forewarned the young couple. "Do not look at the condition. Picture the house vacant, white walls, new carpet, new appliances etc." The bride-to-be walked in and immediately clasped her hands behind her back – she did not want to touch a thing! I could see she was grossed out and thinking, "How can I live here?" There was only one way to get these young people into the house that was right for them. I suggested we write an offer and ask the owner to "strip" the house. Remove carpet, stove, fridge, dishwasher, ceiling fans, shower doors, blinds, toilet seats, shades, everything. We requested an empty walk through, and extermination after everything including the carpet was removed. The buyer did not believe they could make these kinds of demands. But the sellers thought it was fabulous because the family could use all of their stuff in a new place! This was the most creative contract I have written. After the house was painted, new flooring, new kitchen, new baths, new window treatments etc., this young couple had a better than new, brick five-bedroom home for less money than the much smaller brand new home. It is now five years later and I have this beautiful home listed again. The young couple, now with two children, are moving on up and out of town for a wonderful musical opportunity and a brand new larger house. I think even Martha would say that helping them take that first step was "a good thing." Sixteen years ago as a real estate newcomer, I signed up for the "Fast Start" training course and met Anne Hruby, one of the finest trainers in the business. Over the years, we've remained good friends and mentors for each other. So when she invited me to speak to a GRI class about Marketing not long ago, of course I was honored to accept. As an introduction, Anne read from the new edition of "Connections" magazine that mentioned me, and from the new feature article about me in "Real Estate Executive Magazine." She told the class about my awards and achievements and made me sound terrific. After that glowing introduction, I told the group that if they are ever going to speak publicly, be sure to have a dear friend do the introduction! Who came up with your slogo, "Sell Your Home With Margaret Rome"? How much did you pay for it? The answer is that I did, and it took thought and a change or two along the way, but no money. Then I had the agents call out their names, and to illustrate, came up with a few tag lines on the spot. I also asked them to give me their cards and write "slogo" on the back; most of them did, and I've have since come up with some more suggestions and sent them out. What is the benefit of you making all your own appointments? You live in one area, have an office in another, how and why do you take listings so far away? These and other questions related to my choice to work alone, to be the one who talks with my buyers and sellers, the one who sets the appointments and understands their needs. We talked about how I find ways to streamline the process and about how I only work with referrals. I explained the "Buyers4YourHome" page on my web site, and how I would advertise for "their" buyers on my site. I’ve been in real estate for two years, but my friends won’t use me, they want someone more experienced. I talked about exuding confidence and emphasizing the positives including your use of technology to give extra special service. I then asked this agent to call me after class so we could talk more and perhaps I can help her with some specific suggestions. There were many more questions and not enough time. I left on a high with more than 50 cards, more than 50 names and emails. They were happy that I took time to share. I was happy that I made a good presentation. I'm still not sure who got the most out of that day, but it definitely was a win-win. And it was not only good for them and for me, it was also good for my clients. I now can tell them, "Here are over 50 successful agents taking a course to gain more knowledge. These agents will be going to my website to look at my listings and hopefully find a buyer for your home." Marketing – it's all about making connections. You can never have too many. And you never know when the next person you meet will become a client and friend. About a week ago I decided to take some rare time away from real estate and reconnect with my inner artist. The Baltimore Clayworks was hosting a panel discussion with international artists in connection with a gallery exhibition. 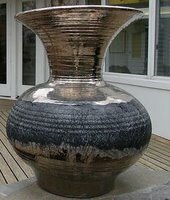 It sounded like the perfect couple of hours completely removed from listing and selling for this former ceramic artist. So there I was on a Sunday afternoon at a nearby conference center for a lecture/panel discussion that turned out a bit differently than planned. Two of the three panelists were unable to be there, so the one remaining brave soul led an open forum with the audience that turned into a lively discussion of women and art. In that lovely time bubble, homebuyers and sellers didn't exist. Then it was back to Clayworks where I savored the sherry and cheese, but also enjoyed that lovely earthy scent of the place where potters work. My real estate hat was firmly in place again by then and of course I talked about one of my special properties that is perfect for an artist. I met a teacher from a local college who knew one of my sellers, a dean at that college. And one person asked about houses in walking distance of Clayworks…which I happen to have, and who knows what will come of that? The day reminded me of something we know but is easy to forget: Do what you love. I went to the lecture because I love art and especially ceramic art. 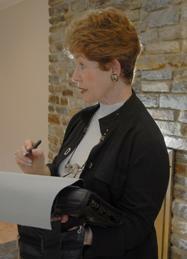 My past life as an artist is an important part of who I am and how I do my real estate business. I was there for the clay, and doing what I love was enough. But because I was there, I'll probably get more business. Do what you love. Your life – and business – will benefit. You remember what I just said about luck? Well Friday the 13th was another lucky day – and I got to spend time with a good friend. 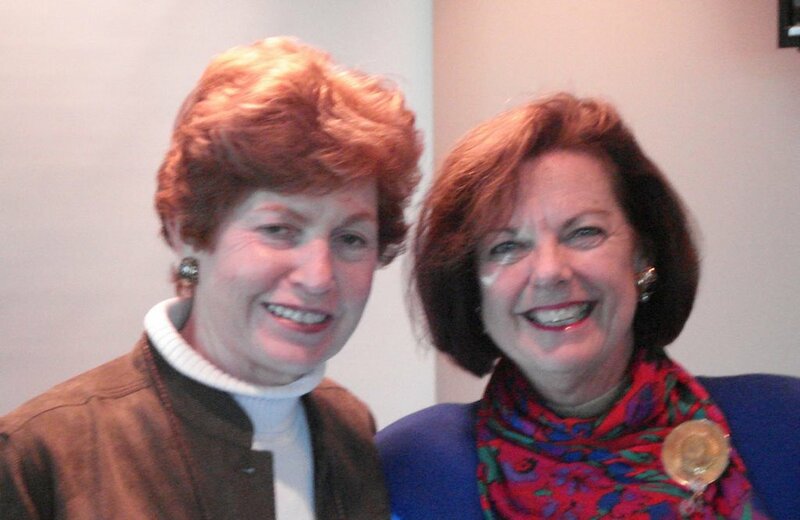 The dynamo from Arizona, Joeann Fossland, was in Baltimore for a school reunion. When I found out she was coming to town, I said "You have to come speak at my Coldwell Banker office!" 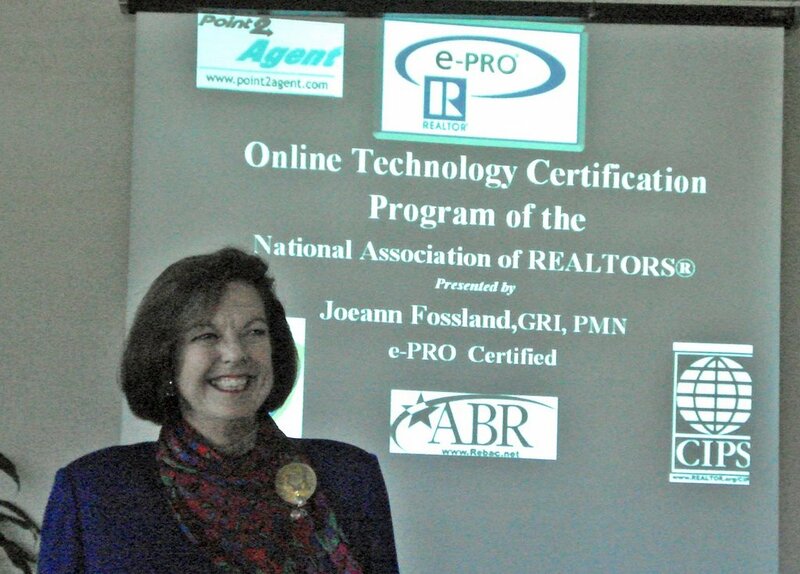 Now Joeann could talk about dozens of topics, but this time it was the NAR's online e-PRO certification program aimed at helping Realtors® raise their level of technology understanding and use. I took the program and got the e-PRO designation a few years ago, and it was very helpful. Now that 82% of buyers start their search on line, it's more important than ever to get comfortable with technology. In about 90 minutes Joeann gave her audience not only an overview of the e-PRO program, but also some tips they could put to use right away. One of the things I love about her is the attitude that you don't have to spend a lot of money to take advantage of technology and give good service. As she says, her favorite four-letter "F" word is FREE! So where is luck in this? 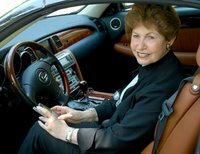 I knew about Joeann Fossland through the many articles she had written in real estate magazines. Several years ago I was vacationing in Arizona and realized I was near where she lived, so I called and invited her for lunch one day. We hit it off immediately, and since then she's invited me to contribute to articles on niche marketing and technology that she has written and published. I was "lucky" to meet this wonderful lady because I picked up the phone and made the connection. And a couple of days ago, Joeann was "lucky" to sign up several new e-PRO candidates because she travels the country educating people about this program and making connections. How "lucky" can you get? My friend Toby Davis in Charleston, SC, sent me a story that really hit home - gave me one of those "Ah Ha!" moments. At the same time, it reminded me about what it means to be lucky in real estate or in anything you do in life. A teacher told his class of pottery students that he would grade half of them on the quantity of pots they produced, and the other half on the quality. In the "Quantity" group, it didn't matter how good or bad their results, only the total weight of pots they created would count. For the "Quality" group, all they had to have at the end of the semester was one perfect pot to get that "A" in the course. They set to work. The wheels whirled and the "Quantity" students turned out pot after pot, improving with each creation. On the other side of the room the "Quality" students thought and planned, and agonized every nuance of their creation. The strain of trying for perfection paralyzed many of them so that they ended up with nothing but unused lumps of clay. The moral? Good work is not perfect work. Babe Ruth struck out 1,330 times, but he kept picking up that bat and standing at the plate. 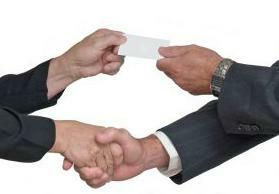 Not everyone you meet will be a client, and you won't sell every house you list. But if you keep meeting people and talking to prospects, you will find clients and even new friends. Those of you who know my background can understand why this got to me. I was that ceramic artist and I made lots and lots of pots, tried new techniques, and learned a lot. Boy, did I learn and develop my talent! Some pots were not so good and some were really, really good. Some I even tossed before they got to the kiln. 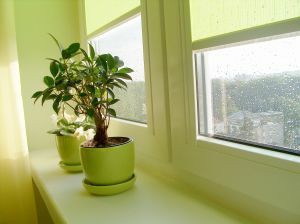 But many are in my home, and many more are decorating other homes and being enjoyed by clients who purchased those pots. Now I use this same talent in my real estate career. The more people I meet, the luckier I get. The more risk I take the luckier I get. I have been very “lucky” in this wonderful world of real estate! When real estate professionals get together, you know that numbers and statistics will come up. At a meeting in Scottsdale, John Featherston, President and CEO of RISMedia,Inc., said that 500,000 – that's more than 1/3 - of the 1.3 million Realtors® have never done even one transaction! Small wonder that the old 80/20 rule – 80% of the transactions done by 20% of the agents – is now more like 93/7. This is a good example of why averages are useless. And it applies to realtors, housing prices, time on market, weather, you name it. The go-getters will go and get, and they are the 7% at the top of the heap. The people who "got into real estate" in the last couple of years to make a quick buck are still sitting around waiting for those big checks. Soon they'll move on to some other "easy money" job and skew the averages on that one, too. Averages make great headlines but they are meaningless. If one person weighs 300 pounds and another weighs 100, they have an average weight of 200 pounds...but so what? If one house in a town sells for $80,000 and another sells for $800,000, the average price is $440,000 - but that doesn't mean the owner of the $80,000 house will get more, or the other guy less. It doesn't change their individual situations, and in real estate and life, it's the individual who counts and who makes a difference. So glad I'm not average! 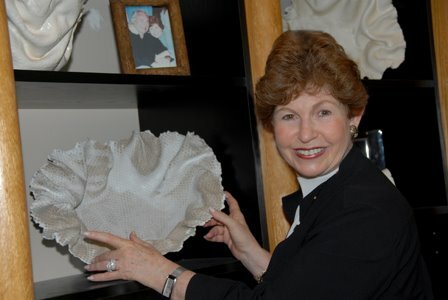 A couple of months ago Joeann Fossland asked me some questions about what part technology plays in my business. The answer is…Huge! One of the advantages of working solo is that I only have to plan for my own needs. This way I can react to not only what's happening in my market but also in the very important rest of my life with family and friends. I'm a believer in living in the moment – this doesn't mean I don't plan, but it's not the top of the list. When it comes to technology I react to what I need, not what new technogadget is coming out next. With this approach, of course, I don't budget for technology. "Budget" indicates a plan for spending – I don't do that. I have a good idea of my regular expenses so I'm comfortable that I can decide if a new technology tool is a good choice financially. It really is driven by what I need to give my clients better service. The question to ask yourself is not, "What can this technology tool do for me?" You should be asking, "What do I need help with? What's slowing me down or making it hard for me to accomplish? What’s wasting my time?" Once you know where the bottleneck in your day is, then you can look for a tool that will help you around it. It's very easy to be seduced by the "gee whiz" features of computers and cameras and phone/PDA's. But if you have to wrestle with the tool to get what you need, it's not helping. We are realtors – we list and sell houses. That's what we do best, and I believe in delegating tasks that slow that down; I delegate a lot to technology. 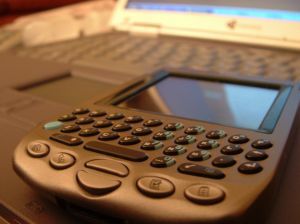 The "must-haves" for me are my tablet PC, my Treo phone/PDA, and a compact digital camera. One other tool I have carried for years is a laser measuring tape for quick and easy room measurement. I think every agent needs a professional and informative web site that is easy to understand and navigate. It's important to give clients what they're looking for without being intrusive and demanding that the visitor give up personal information to get help. And like most tech-savvy Realtors, I've recently added a blog that I update frequently so there's always something new and interesting to keep people coming back. There's one bit of technology that maybe others wouldn't need but I absolutely have to have – the GPS in my car. With everything else I'm keeping track of, I don't have to be concerned about maps or getting directions – I punch in the address and go. All of these tools suit my style. I work solo – no assistants and no associates – because I believe it's important to give that level of personal service to my clients. This means I have to work smarter, and the technology tools help me do that.